Located only a 400 metre stroll from award winning Wests at Mayfield this modern single level villa is positioned in a master planned lifestyle estate known as 'Central Village'. The home is designed for easy maintenance living and takes advantage of the rear northerly aspect. * Modern single level freestanding villa with single carport. 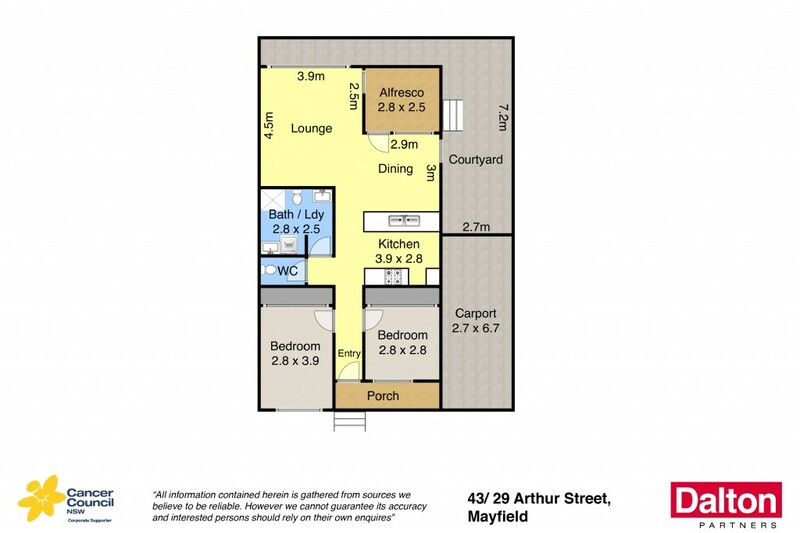 * 2 bedrooms, both with built ins, central fully tiled bathroom. * Sunny living space features cathedral ceilings and air conditioning. * Stone kitchen with SMEG oven, gas cook top and dishwasher. * Covered alfresco zone is ideal for outdoor entertaining. * Sunny easy-care yard with secure garden shed. * The gated community provides that extra level of security. * Shopping and transport nearby. 5 mins to Newcastle City/Harbour.